This is one in a series of posts on the Leah Haley Case. Leah Haley provided me opportunities to exchange research and compare notes with her during the past three years. She also allowed me to ask her many questions on several occasions. I was and continue to be very grateful for her willingness to dig up bones, rub salt in the wound or any number of additional metaphors that relatively apply - yet nonetheless fail to fully encapsulate - the emotionally charged dynamics of the situation. Incidents of potential interest in her life continued after those described in her books. Such incidents, Haley explained, included what she came to term "virtual reality experiences" and messages from the "Silent Voice." Haley additionally explained a curious discovery. Leah became aware she and Marshall Applewhite, leader of the infamous Heaven's Gate cult, attended the same college a few years apart during the 1960's. While such occurrences might well bring Project MKULTRA to mind, certain circumstances in and of themselves are interesting concerning how Haley became more deeply immersed in researching mind control operations. In the fall of 2003 Haley received an anonymous note essentially suggesting she review projects MKULTRA, BLUEBIRD and ARTICHOKE. The note included detailed instructions on how to request the related compact disk set available from the Central Intelligence Agency via the Freedom of Information Act. Haley went on to obtain the disks and the some 20,000 pages of documents contained therein, and, due to what she learned from the documents, continues to consider the anonymous note a major breakthrough. Among the documents Marc Davenport and Haley found of interest was #190691, Hypnotic Experimentation and Research. Events were documented in February of 1954 in which two women were used as research subjects to establish a person could be manipulated via hypnosis into virtually completely abandoning their normally held principles and ethics, up to and including being willing to kill another human being when instructed to do so. What's more, the researchers claimed the subjects had no recollections of the experiments taking place. "The importance of this document," Haley stated, "is that it shows that the CIA had pretty much perfected the Manchurian Candidate by 1954." Document #190527, SI and H Experimentation (25 September 1951) explained, Haley noted, how researchers claimed to have successfully administered post-hypnotic suggestions by telephone via codewords. It was documented that the post-hypnotic directives included executing detailed instructions related to activating bombs and that, of particular potential significance, the subjects could largely not remember their participation in the experiments. It should be noted that "SI and H" stands for sleep induction and hypnosis. Haley added, "A second experiment the same evening concerned whether or not individuals whose moral values would normally prevent them from stealing a wallet could be influenced to do so while in a hypnotic state. The answer was yes." Document #149585, Film Sequence of Top Secret Theft, further asserted findings as described above. It suggested post-hypnotic instructions could indeed be activated via telephone. Document #147025 is a copy of a 1954 memorandum in which mind control applications, particularly concerning the use of hypnosis, were discussed. One such application included the intentional manufacture of split personality induced during hypnosis. Project objectives included manipulating subjects into executing various predetermined actions when prompted later and with no recall. Hypnosis was further discussed in document #190597, in which an interview with a professional hypnotist was detailed. Consideration was given to such factors as the physical appearance, place of residence and overall community standing of the hypnotist in relation to the feasibility the hypnotist would make a suitable consultant. The hypnotist asserted post-hypnotic suggestions could last some 20 years, Haley noted, and such suggestions would be particularly strong if reinforced periodically. The interviewer asked if the hypnotist would be willing to act as a consultant with the Agency and the hypnotist agreed. For those unaware, Project MKULTRA included some 149 known sub-projects, according to the document, Prepared Statement of Admiral Stansfield Turner, Director of Central Intelligence, which was issued during the 1977 Senate hearings. When project objectives are taken into consideration, it is not difficult to envision the confirmed abuse of involuntary human research subjects may have become entangled with what became reports of supposed high strangeness, such as alleged alien abductions. A portion of the Research and Development Program of TSS/Chemical Division (of the CIA) was devoted to the discovery and methods of some 17 different means of mind control/behavior modification. In 1955, project objectives included (see page 125) developing "materials which will render the induction of hypnosis easier or otherwise enhance its usefulness," "materials and physical methods which will produce amnesia for events preceding and during their use" and "substances which will promote illogical thinking and impulsiveness to the point where the recipient would be discredited in public." There are many such authenticated documents. For further reading I recommend, among other sources, the landmark work of John Marks, The Search for the Manchurian Candidate. An August, 1977, New York Times article, Private Institutions Used in C.I.A. Effort to Control Behavior, revealed details of the disturbing situation as they continued to emerge. Investigative journalists John M. Crewdson, Nicholas M. Horrock, Boyce Rensberger, Jo Thomas and Joseph B. Treaster collaborated to produce the article. The identities of some of the involved doctors were documented, as well as how the broad scope of such abusive research included and was concealed by personnel at specific nonprofit corporations, major colleges, medical facilities and a vast network of such traditionally trusted institutions while spanning no less than 25 years. For more information about the specific evolution of the role of hypnosis in nefarious operations and its implications to ufology, I highly recommend the work of Gary Haden. Many of his posts on his former blog, Speculative Realms, are now archived on the website of Emma Woods. I particularly recommend locating and reading Haden's Mass Hypnotic Stupor: The MPD "JOKE" and the Paranormal Cult Stupidification of America. Davenport and Haley used the US Patent Office as a resource to monitor and track the possible evolution of technology. Among the documents Haley found most interesting, she explained, was Patent #3,951,134, Apparatus and Method for Remotely Monitoring and Altering Brain Waves, in which brain waves were declared to be remotely read, entrained and altered to a "desired change" via electromagnetic frequencies. "Patent #'s 5,270,800 and 5,159,703," Haley continued, "describe systems to submit subliminal messages." In addition to the patents referencing subliminal messages cited by Haley, I invite consideration of a 1979 Time Magazine article, Behavior: Secret Voices, which explored dozens of department stores playing subliminal anti-theft messages over music systems. Incredible decreases in theft were reported, including one chain claiming a whopping 37% reduction, translating into increased savings of some $600,000 over a nine month period. The secret recipe? People in stores were subliminally instructed to believe they were honest. Patent #'s 4,858,612 and 4,877,027, Haley pointed out, addressed the creation of sound in the human head via microwaves. "He (Davenport) also found a number of other patents," Haley stated, "that supported our theory that those voices I heard in my head were not based in the supernatural, and my memories of alien encounters could have been nothing more than human-implanted experiences." Haley went on to cite additional MKULTRA documents and patents she discovered long after writing about experiences that might reasonably be suspected to correlate with technology described in such documents. One such example was document #173602, Non-Lethal Personnel Behavioral Control, in which high intensity light and electrical current were discussed as methods of behavioral control. Haley detailed such experiences several years prior to learning of the document in both Lost Was the Key and Unlocking Alien Closets. Another such example Haley suspected might correlate with her experiences was document #190669, SI and H Experimentation, 17 November 1953. An experiment was discussed involving a hypnotized research subject directed to rapidly memorize a long, technical passage and recall it only when prompted later by a codeword. Researchers claimed the experiment was successful, including the subject having no recollection of the activity. Haley noted how reading the document reminded her of an experience she wrote about on page 71 of Unlocking Alien Closets, details of which involved just such reading and memorization of technical material. Additional reading of interest might include Anna Keeler's Remote Mind Control Technology, a very well constructed piece circa 1980's which offers us somewhat of a 'then and now' perspective. Keeler's work is among that which further established the reality of research and development of mind control devices and methods, as well as symptoms of overexposure to the related electromagnetic frequencies. Such symptoms included, among others, sleep disturbances, hallucinations, memory loss and 'sunburned,' reddened skin (even at night), all of which were very common to witness testimonies of alleged alien abductions. More recently written material includes US Electromagnetic Weapons and Human Rights, a report completed in December, 2006, in which co-authors Peter Phillips, Lew Brown and Bridget Thornton explored the evolution of the US intelligence community human rights violations and continuing research in electromagnetic weapons. The work was sponsored by Sonoma State University, Project Censored and the Media Freedom Foundation. My interactions with individuals such as Leah who came to believe themselves involuntary research subjects naturally caused me to repeatedly evaluate what I thought took place in their lives. I am empathetic of their perspectives and I ultimately cannot pass judgment one way or the other. It is not difficult for me to suspend judgment on conclusions, particularly as compared to the more out of this world claims, because at least I conclusively know involuntary research subjects and mind control victims exist. Why would I think it impossible - or even particularly unlikely - some of them became involved in ufology, all things considered? It would seem to me aversions to accepting such likelihoods would be indicative of refusals to accept the US government actually conducted such intrusive operations in the first place. We have to accept the latter to accept the former, and, let's face it, most people just do not want to think about such things (for a variety of personal reasons). The challenge with averting from serious consideration of the topic is it leaves a vastly incomplete picture of ufology. Alien abduction, if it is nothing, is all about trauma, and the US government has a long and detailed history of administering and studying trauma. If you doubt further research is justified into the likelihood any of that has anything to do with the American UFO community, I invite you to take a much closer look at who, exactly, is present - and specifically what they are doing - in UFO Land, Stateside. According to LinkedIn dot com, John Carpenter, MSW, LCSW, is a self-employed therapist and lecturer educated at Washington University in St. Louis and DePauw University. The bio also states he was an "abductions research specialist at UFO research." ﻿﻿﻿﻿Carpenter has a long history with the UFO community and particularly what some call investigation of alien abduction. 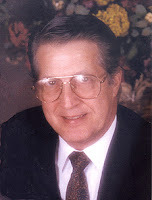 Serving as the MUFON director of abduction research from approximately 1991 to 2000, Carpenter conducted literally hundreds of regressive hypnosis sessions. He frequently published statements asserting the supposed reality of an alien presence and resulting program of military abductions through speaking engagements, the MUFON Journal and a network of platforms provided by like-minded individuals. Early on in Leah Haley's quest to learn more about a childhood UFO sighting, Budd Hopkins recommended she contact Carpenter. Haley did so and Carpenter hypnotized her throughout 1991, giving rise to many fantastic and previously unknown alleged experiences of alien abduction and military abduction. More about Haley, her experiences and her current beliefs are contained in previous posts. 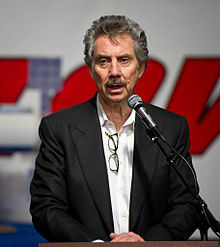 Somewhere along his way, John Carpenter was said to have cut a deal with Robert Bigelow involving the release of 140 case files of alleged abductees, including Leah Haley. The files were said to have been sold for $100 apiece, totaling $14,000. The public commonly perceived a single transaction took place. Certain individuals, including Leah Haley and some of the other 139, were deeply hurt and outraged. They felt betrayed by all parties involved: Carpenter, MUFON, Bigelow and associates. The event seemed to have taken place sometime during the mid 1990's. It became known as the Carpenter Affair when the public eventually found out around the turn of the century. The circumstances and their ramifications were of interest to some key MUFON personnel, or at least that was the case with the ensuing public relations problems. It was publicly discussed by such personnel, as well as various people of relative interest in ufology, around the Internet. John Velez and Gary Hart exchanged emails as cited on UFO Updates List, discussing the filing of a formal complaint and reviewing the MUFON code of ethics. Robert Gates also weighed in on the List, sharing his interpretations of some relevant points and questions concerning the Carpenter Affair. Carpenter defended his actions, as did his supportive wife. Relevant questions remain. Let's consider a few things. Concerns have been expressed around ufology that Bigelow and his corporations may sometimes act on behalf of hidden partners and undisclosed agencies. Former MUFON international director James Carrion asserted funds donated to MUFON supposedly by Bigelow were actually provided by “sponsors,” the identities of which Bigelow revealed to MUFON board member and former international director John Schuessler, but did not disclose to the remaining MUFON board members. In the particular circumstance of the Carpenter Affair, some feel it may be relevant that during the time in question, non-lethal weapons expert and career intelligence officer Colonel John Alexander was a staff member at the National Institute for Discovery Science, a Bigelow-founded and now dissolved nonprofit corporation. John Velez wrote via UFO Updates List that Colonel Alexander was interestingly among those who provided confirmation the Carpenter Affair took place. Of potential further interest is Christopher "Kit" Green, a long time CIA employee who also worked with NIDS, according to former NIDS personnel member Eric Davis. Our readers will recall that in our Sept. 5th issue, we told you of the internal scandal in MUFON regarding the fact that John Carpenter, their Director of Abduction Research, sold one hundred and forty (140) abduction case histories to wealthy John Bigelow of NIDS (National Institute of Discovery Science). John Schuessler, the new czar of MUFON, has promised an investigation by an Ethics Committee consisting of four unnamed members of their Board of Directors, and he has stated that the results of this internal investigation will be published in the MUFON Journal. Was the Carpenter Affair an isolated incident and single transaction as commonly supposed, or was Carpenter involved in additional, ongoing transactions and arrangements? When did Carpenter's dealings with Bigelow begin? Why did Bigelow want the 140 case files? Might Carpenter's affiliation with the Bigelow camp have influenced how he conducted his 'investigations' and effected the ways he interacted with self-described experiencers? Why did Carpenter not simply tell people, such as Haley and fellow MUFON leaders (in addition to Schuessler, who sat on the NIDS scientific advisory board, creating the related questionable circumstances), he intended to share files and/or information with Bigelow? “How ironic,” I thought... and after exchanging a few more initial remarks, we proceeded. Below is the vast majority of Carpenter's comments to me. I am providing them in their virtual entirety and exactly as written, less a few remarks contained in a previous post. I initially asked Carpenter how his interactions with the Bigelow camp began. I also asked what criteria was used to identify the 140 files as being of interest and if he engaged in any other transactions or projects with Bigelow. I encouraged him to provide commentary as he might be inclined to further clarify the circumstances. Bob Bigelow is a low key quiet man who has an avid and serious interest in the paranormal for all the right reasons. Because he worked hard for years at real estate and investments, he eventually made enough money to fund projects that would further research, bring answers, and take a much needed, serious, scientific, and psychological look at the UFO field. All the serious researchers knew him well as he made a point of connecting with the best ones to see what they needed or what projects he could help with. He funded projects for Budd Hopkins, Stanton Friedman, Linda Howe, David Jacobs, myself, Dr. John Mack, George Knapp, MUFON, and more. People need to quit ASSUMING he is some shady figure!! Bob Bigelow is a kind-hearted, generous individual who avidly sought answers in professional, credible directions. He helped bring researchers together to discuss issues (while staying discreetly in the background). He helped fund the historical M.I.T. Abduction Study Conference in Boston in 1992. He helped fund the famous Roper poll on how many Americans may have been abducted. This led then to another effort to train mental health professionals in abduction knowledge and therapy skills by way of major professional conferences for mental health personnel ONLY. These were held successfully in New York, Atlanta, Los Angeles, and Chicago with John Mack, Budd Hopkins, David Jacobs, and myself as speakers. Bob wanted all the best for quality research and proper treatment for abductees. I first met Bob when he tagged along with Linda Moulton Howe as she visited Southwest Missouri to work with me on several interesting abduction cases. Her subsequent film production became the pilot special that evolved into the long-running show, Sightings! Bob said he was impressed with my hypnotherapy skills and professionalism. He, later on, flew me to Las Vegas, Tucson, Vancouver Island, and Nevada to help abduction cases he had become aware of. He also helped fund the investigation in New Mexico of Gerald Anderson's claims with myself and Stanton Friedman. Eventually Bob created the National Institute for Discovery Science (NIDS) in Las Vegas so that top scientists and other fields of professional expertise could study paranormal events, UFO cases, etc in a serious and quiet manner. He developed a science board of experts that would impress anybody on this planet. It included two Apollo astronauts who had walked on the moon, Jacques Vallee, Ian Stevenson (reincarnation studies), Hal Putoff (astrophysics), Edgar Mitchell, and many others who preferred to remain anonymous. They would secretly convene once a month and study various cases and projects. I had the wonderful opportunity to give a presentation on abductions to this incredible panel of experts! Having clarified the good and generous nature of Bob Bigelow and all the wonderful things he helped to make possible for all the right reasons, I want to clarify the last project that I worked on with his organization. He wanted some of his top professional minds to study abduction data. I agreed to confidentially share data from a number of my cases by blacking out names and identifying data to protect my cases while giving top scientists a taste of what is being reported in abduction research. Despite rumors on the Internet, I NEVER SOLD my cases!! That rumor supposedly had credibility because it was started by my ex-wife who wanted to stir up controversy and headaches for me! Doesn't anybody understand this dynamic with an ex-wife? I was disgusted with the rumors, lack of trust, cruelty, and self-serving comments made by Internet buffs --- most who have not performed one ounce of research. They trashed me, tried a lawsuit, discredited my long hours of serious, careful research, and had no comprehension of how I had tried to help abductees and their cause. I had held a full time job during all those years and did all research in my free time -- usually for free or donations. It made me sick, so I just backed away from it all. A voluntary effort is not worth all those headaches! But I know so much from my cases and feel I still have much to offer. So it is hard to refuse anyone who still needs my help. I will still give presentations for conferences if asked. I produced 10 research DVDs as well to document my research. With Budd Hopkins and Dr. John Mack gone, my famed abductions colleagues have dwindled. "I interpret you are communicating to me that you shared information with Robert Bigelow about abductees you worked with on an ongoing basis, not in a single transaction as the public commonly perceives. Is that a correct interpretation on my part? "What was the date he tagged along with Linda Moulton Howe and you first met him? "Would you please reasonably clarify the chain of events by providing a general time line of how the transfer of the information specifically related to the 140 cases in question evolved? For example, when you met Bigelow, when you began sharing information about the experiences of the 140, when you received compensation, etc. "Did you have dealings with any individuals acting on behalf or in conjunction with the Bigelow camp, in addition to Robert Bigelow and concerning the 140 files, and, if so, who? "Did you receive $14,000 or thereabouts from Robert Bigelow? "Around the turn of the century, a post on Geocities dot com revealed the names of 139 of the alleged alien abductees in question. What would you say to those who might hold you and your choices responsible, at the least indirectly, for the occurrence? Yes, my data sharing was spread over 3 years around 1995 and the reimbursements trickled in over that period, so I don't know the actual total. My ex-wife provided a figure, but I'm not sure how she would have totaled it. Other researchers were approached with the same proposal, and some of them may have shared data, too. I emphasize the confidentiality, care, and protection I gave this data. And I know of nobody that was harmed in any fashion. I met Bob on Linda's trip in 1990. I always dealt directly with Bob Bigelow. I was appalled that a list of names was leaked to the Internet... I had privately developed code numbers for each case to protect the identity of each person. This way I could privately keep track of each case by number NOT by NAMES. I later learned that my ex-wife copied my private list and gave it out, and then some insensitive idiot had the nerve to put this private list on the Internet thus exposing identities that I had worked hard to protect. That person should be held accountable for such an insensitive and hurtful act! However, since I worked with cases all over the country, the name Bill Johnson could be a lot of people since no locations or addresses were attached. The code numbers were to protect their identity and maintain confidentiality. The Internet and rumor-mongers were the hurtful participants! I leave it up to the reader to determine what may be surmised from the statements of John Carpenter. You can determine for yourself what was learned and what issues remain. Those who read The UFO Trail and know me are aware of my thoughts and feelings on such issues as regressive hypnosis used as a memory retrieval tool. My views are also reasonably well known on certain circumstances Carpenter chose to cite, as well as the work of some of the people he opted to frame in a positive light. I recognize Carpenter's right to hold and express any opinions he may choose, and I have no inclination to jump on any soap boxes in the immediate wake of those expressions. Suffice it to say there is plenty of competently composed critical review in opposition to circumstances cited by Carpenter, and I will primarily leave it at that. I sincerely hope John Carpenter finds peace with himself. I also hope the often emotionally troubled people who summon the courage to reach out to such individuals as Carpenter in search of help will find much deserved relief and peace from their suffering. I hope those who were long since hurt by the Carpenter Affair found some comfort somewhere, too. Decide for yourselves what you think mattered about the Carpenter Affair and Carpenter's recent statements. Decide for yourself what you would think mattered about it all if you were Leah Haley. I indicated I wanted to discuss one last thing with Carpenter and I thanked him for providing comments. In March, 1995, Leah Haley and Marc Davenport had a speaking engagement at the Tampa Unity Church in Tampa, Florida. The couple regularly shared the controversial views they held at the time on such matters as aliens, multiple dimensions and military abductions. Kurt Loft of The Tampa Tribune-Times wrote a piece on the scheduled event. Loft's article, UFO Enthusiasts to Describe Out-of-This-World Adventures, was published in the March 5, 1995, edition of the newspaper. Loft summarized the claims and perspectives of Haley and Davenport and sought statements from other applicable sources. Major David Thurston, identified by Loft as a spokesman for the Air Force in Washington, provided comment. He explained the Pentagon did not take such claims seriously. Fair enough. I would certainly expect Thurston to have accurately represented the policies and stances of his employer. The Pentagon scoffs at the accusations, said Maj. David Thurston, a spokesman for the Air Force in Washington. "I don't want to dignify such charges with a comment," he said. "I will say the Air Force isn't in the business of kidnapping the citizens of this country." Nor does the Mutual UFO Network, which publishes the UFO Journal in Seguin, Texas, embrace Haley's abduction stories--either by aliens or the military. "I would advise people to listen very closely to their lecture and apply some common sense to what they hear," said Tom Deuley of the Network, which has more than 5,200 members. "We feel very embarrassed that UFOs are the vehicle for people making a living. When people tell such ridiculous stories, it doesn't help the serious scientific work being done." Trouble was, the article and Deuley's statements were simply misrepresentations of actual MUFON actions and apparent policy. Lieutenant Commander Thomas P. Deuley, US Navy, Retired, has an impressive resume and long history in ufology. One of his many bios circulating through the UFO community states he holds an engineering degree from Auburn and a degree in advertising from San Antonio College. He has a diverse background in military affairs including security and intelligence. A former National Security Agency employee, Deuley has presented information to the UFO community on a variety of topics. Deuley is a long time member of the MUFON board of directors. He also held key positions within additional UFO organizations and resulting projects, including the Fund for UFO Research, the UFO Research Coalition and the ill fated Ambient Monitoring Project, a program drawing substantial criticism, among other reasons, for its lack of transparency. At the time, March 5, 1995, Loft suggested in The Tampa Trib, evidently based upon comments provided by Deuley, that neither MUFON nor its Journal embraced such abduction stories, little could have been further from correct. The facts of the matter were if we need any documentation MUFON has a long history of supporting such stories, we need look no farther than the very MUFON Journal suggested to oppose such claims. In actuality, the 1995 February and April editions of the Journal carried a column written by then-MUFON director of abduction research, John Carpenter. The column, Abduction Notes, was regularly published in the Journal and clearly promoted and endorsed claims of abduction, both alien and military. As a matter of fact, in February, 1995, Carpenter wrote that John Mack brought attention to the “reality of UFO abductions.” Carpenter went on in the same column to endorse Streiber's Communion and Hopkins' Intruders. The April, 1995, installment of Abduction Notes published in the MUFON Journal saw Carpenter writing about the importance of providing professional support to alien abductees. Combined with Deuley's virtually simultaneous and particularly critical comments on such matters, the situation could reasonably be interpreted as an outrageously ironic contradiction in MUFON policy. Clearly, the MUFON stance was not entirely and accurately represented in The Trib. Perhaps most insulting of all to Leah Haley, Deuley apparently failed to inform Loft it was Deuley's fellow MUFON director, John Carpenter, who originally personally assisted and encouraged Haley in forming and cultivating her ideas via hypnosis about aliens and military personnel in the first place. The article also failed to accurately portray the role MUFON director Donald Ware played in the situation. 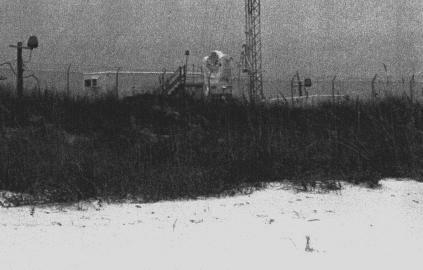 Ware participated in the Eglin expedition, a hike in which a US Air Force base was searched for the site of an allegedly downed alien craft Haley was once supposed to have been aboard. What's more, it was Ware who originally suggested they undertake the remarkable hike and search. The very organization in which Leah sought help, hesitantly yet trustfully following their paradigm-shifting concepts and suggestions that included a year of hypnotic regression sessions, threw her under the bus on the pages of The Tampa Tribune-Times. More facts of the matter include Haley was not “making a living” at sharing her story as Deuley suggested. Far from it, actually. In her book, Unlocking Alien Closets, pages 181-182, Haley addressed the Loft article. Among other points presented, she detailed her personal finances which clearly demonstrated her activities in the UFO community were severely detrimental - and by no means beneficial - to money matters. Haley further stated that to the best of her recollection, she never so much as met Tom Deuley. I emailed Deuley to try to learn more. I informed him I write a UFO-related blog and I provided a link. I stated I am writing about the Leah Haley Case and asked if I may ask him some questions. Two similar requests were sent to the MUFON email address of Robert Swiatek, another long time MUFON board member who has previously posted comment here at The UFO Trail. The emails to Swiatek were not answered. Multiple emails were also sent to MUFON board member Marie Malzahn at two different email addresses on file here at The 'Trail. I requested permission to ask her some questions about current MUFON policy and no replies were received. Deuley replied he would be glad to entertain questions but advised he did not recall much about the Haley case. He added maybe the questions would be reminders. On January 9, 2012, I emailed Deuley a summary of the Loft article and situation as described above, as well as reference to the Carpenter Affair. I thanked him for his willingness to entertain questions and stated I would appreciate comments at his convenience. I asked what he would say to people who might question the hypocrisy of him speaking on behalf of MUFON and criticizing Haley, when it was his very MUFON peer, Carpenter, who originally encouraged and promoted her then-beliefs. I asked, most importantly, how might he expect Leah Haley to feel about it. conduct regressive hypnosis as a memory retrieval tool. I requested Deuley explain, as a long time MUFON board member and considering the mission of the organization to conduct scientific research, how he feels about the MUFON tendencies to provide public platforms to such self-described researchers as the late Budd Hopkins and others who use hypnosis as a primary tool of investigation. I asked Deuley to clarify his stance on David Jacobs being recently provided a public platform at MUFON LA. I also requested Deuley state his stance on MUFON chapters continuing to promote and conduct regressive hypnosis as a memory retrieval tool. I asked if he would please comment on his recollections of how the MUFON board of directors handled the Carpenter Affair. I inquired whether Deuley was pleased or dissatisfied with MUFON actions, and what he thought was most important about the entire series of events. I referenced how former MUFON international director James Carrion was quite outspoken about his interpretations the intelligence community plays a significant role in ufology, including the manipulation of MUFON. I further referenced how Clifford Clift made comments to a similar effect, even if the two men imply one another were more part of the problem than not. I then asked Deuley if he thinks MUFON was ever, at any time either formerly or currently, covertly infiltrated by the intelligence community. As of this post, I have received no further emails or responses from Tom Deuley. To clarify, I do not oppose Deuley's implications ufology could use more critical thinking. Of course it could. I take issue with MUFON board members holding conflicting perspectives while each claiming and/or implying to be acting on behalf of the organization, especially when it results in an individual, Haley, publicly criticized who was assured help and did as she was suggested. I also take issue with said board members being unaccountable for the behavior. I further take issue with members of the MUFON board of directors continuing to refuse to commit to a stance or even so much as address the issues, particularly concerning the use of hypnosis as a memory retrieval tool. The latest MUFON international director, David "The Captain" MacDonald, cooperatively fielded some questions here at The UFO Trail. While I appreciate his willingness to address issues, I find his comments concerning hypnosis unacceptable and indicative of a poorly informed UFO community. Concerning MUFON providing platforms to individuals who use hypnosis as a primary investigative tool, Mr. MacDonald stated he has "no problem" with chapters hosting speakers making presentations on any "investigative procedure," including hypnosis. The problem with that, Mr. MacDonald, is the professional research community does not recognize hypnosis as an investigative procedure. This includes the academic/scientific community. The medical industry, which includes mental health professionals, does not recognize hypnosis as an investigative procedure, either. That is because, to overstate what should be the obvious yet remains chronically elusive, it is not an investigative procedure. None of that would be particularly significant if it were not for the facts the Mutual UFO Network is a nonprofit public charity and claims to be dedicated to the scientific study of UFOs for the benefit of humanity. It is not a private corporation or a hypnosis society. Neither is it dedicated to promoting inaccurate information subject to the best ticket draw and at the emotional sacrifice of those who approach it for advertised investigative and support services - even though it may appear that way much more often than not. As we proceed with the exploration of the Leah Haley Case, let us please remember the key issues. Let us not be swayed by those who try to distract our attention from the most significant facts. Leah Haley was hypnotized repeatedly throughout 1991 by a MUFON director, John Carpenter, inducing emotional upheaval and beliefs she was traumatically abducted again and again by a variety of alien and human perpetrators. She was guided by another MUFON director, Lieutenant Colonel Donald Ware, through an expedition of a US Air Force Base, supposedly searching for a site an alien craft was downed with her aboard and as suggested during one of the many hypnosis sessions. Her case file and the files of 139 other alleged abductees were released by Carpenter to Robert Bigelow and his military intelligence associates, as reportedly confirmed by Colonel John Alexander and cited in the previous post. Those are facts. What the facts may indicate is open to interpretation and justifies further research. As I have stated all along, I do not claim to have conclusions. Haley believes she somehow became involved in covert research operations. As I have written, Haley's case may, at worst, be indicative of covert psychological operations in which any number of people were manipulated and deceived. At best, Haley's story is the saga of a woman who sought the services of organizations and individuals claiming to provide quality, scientific investigation and healthy emotional support - and those organizations and individuals simply lied, be it out of ignorance, incompetence, deception or combinations thereof. I would hope the UFO community would take note of such occurrences and be interested in improving its performance. Unfortunately, I have little reason to currently believe that is the case. Haley's situation, extraordinary as it may seem, is actually not as unique as it may initially appear. It just happens to be relatively high profile. Think about it. There is the Emma Woods situation. There is the Carol Rainey films and information. Let us not forget there are no less than 139 others directly involved in the Carpenter Affair. I am personally and directly aware of individuals who contacted MUFON, a public nonprofit corporation purportedly dedicated to scientific research, for assistance in understanding their strange experiences and were abruptly referred to hypnotists. Some of these individuals have since decided the hypnosis sessions were unhelpful in identifying actuality, traumatic and quite harmful to their emotional well being and mental health. I invite you to ask yourself if you will support and enable those who rationalize such circumstances, trying to dilute the significance of damage being inflicted. Accountability is in order - not excuses. The Defense Advanced Research Projects Agency need look no farther than the beach incident to get some helpful pointers on how to achieve its objective of effectively developing and tracking memes. The hypnotic propagation of the incident and its growth into what physically manifested as the Eglin expedition are indeed fascinating and curious on a number of levels. Haley is now uncertain exactly what happened during an event that was the focus of a July, 1991, hypnosis session conducted by John Carpenter. She is currently quite confident, however, that the event, the beach incident, is not as it initially appeared to her in the hypnotically induced mental imagery. One way or the other, the beach incident was conceived and Haley, at the time, proceeded to seek clues which might have helped her further identify actuality. What she found was a winding trail and pot luck of Mufonians, ufologists, various self-proclaimed experts, unclear circumstances and what would later be identified as questionable motives. Sprawling Eglin Air Force Base is located a few miles east of Pensacola, Florida, in the vicinity of Gulf Breeze and bordering the Gulf of Mexico. 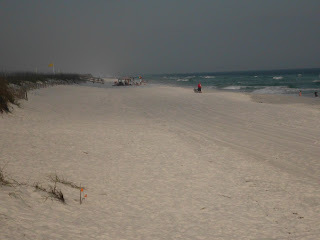 On September 24, 1992, Haley, Lieutenant Colonel Donald Ware, USAF, Retired, and Colonel Robert Reid, USAF, Retired, took a 13-mile hike eastward across the south end and beach of the base, from Navarre towards Ft. Walton Beach. Ware and Reid were members of the MUFON board of directors. They acted as guides on a search for a location where Haley may have been aboard an alien craft downed by the US military and as suggested in regressive hypnosis sessions conducted by Carpenter, another MUFON director at the time. Items of interest that resulted from the curious hike included photos of some equipment, dubbed the “kitchen timer” by Haley, located on the base and along the beach. At the time it was suspected the equipment may have been used to generate a field of electromagnetic pulses, effectively disabling and downing the alleged alien craft Haley was supposed to have been aboard. Interesting coincidence. There are more curious coincidences and discrepancies. I recommend the particularly interested reader invest some time in learning about tactics and procedures common to military intelligence large scale deception operations, in the event they do not have a familiarity with the topic. I am not going to currently write about such procedures, but suffice it to say the topic is quite potentially relevant, and certain events being described may not appear as puzzling to some as they do to others. The trio took photos and completed the hike without ever being confronted by base security. Haley wrote at one point they came upon a medic truck parked along the beach. It seemed Ware and Reid spoke with the medics while Haley stayed back. “I thought it odd to see a medic truck parked on the beach,” Haley wrote in Unlocking Alien Closets, page 41. The beach incident gained momentum following the Eglin expedition. The subsequent buzz about alien craft disabled by electromagnetic weapons breathed life into the story. It was not long, though, before Haley suspected she was being played. In May, 1994, Haley and the late Marc Davenport conducted an experiment. In an effort to test the likelihood Haley, Ware and Reid were actually intentionally allowed to 'trespass' and hike across Eglin, Haley and Davenport attempted to walk the route of the original hike. The two were quickly confronted by base security and ordered to leave the way they came, else face legal consequences. “The guard threatened to take us to the brig and cite us,” Haley recently recalled. Who Were All Those People in Gulf Breeze? There is a great deal to be studied and considered about the Gulf Breeze saga. I have now spent years researching certain aspects of how Gulf Breeze relates to the Leah Haley Case, and I can tell you without question I have barely scratched the surface. There are others who have learned much, much more than I about such names as Ed Walters, Bruce Maccabee and Vance Davis. There are many, many more names of potential interest, several of which commonly remain all but unmentioned. Some researchers have lots of information to share and I know relatively little in comparison. I can tell you one thing I learned, though. In spite of an avalanche of proclamations to the contrary, I have yet to find any reason at all to conclude intelligent alien lifeforms were present in the Florida Panhandle. I have no reason to believe any such aliens abducted human beings, were engaged in hostile war maneuvers or any other such fantastic circumstances. An important question becomes who the hell all those people were that flocked to Gulf Breeze. My current answer is I do not know, not exactly, but I am confident the question matters. I have learned a few things about some of those people and I will share a bit of what I learned. I have a sincere hope competent research and refusals to cower away from the right questions will one day more clearly reveal the actual agendas and activities of the players. My personal opinion is when that time comes, the UFO community will then have its answers to the Gulf Breeze enigma. According to his website, Donald Ware is a retired Air Force pilot who achieved the rank of lieutenant colonel. He earned a BS in mechanical engineering in 1957 from Duke and an MS in nuclear engineering in 1972 from the Air Force Institute of Technology. As mentioned, Lieutenant Colonel Ware resided in the Gulf Breeze area and was extensively involved in ufology. His activities ranged from serving as a MUFON board member and MUFON Eastern Regional Director to directing the International UFO Congress. His website demonstrates his apparent extreme views on topics UFO, including a “transformation” currently taking place and facilitated by an alien intelligence. According to Ware, such alien transforming includes “genetic engineering” of the human population, resulting in increased intelligence quotient (IQ) and ease of telepathy, among other such things. Ware's views and activities reportedly led to a parting of the ways with MUFON in 1993. The July, 1993, MUFON Journal, Director's Message, explained Ware was removed from the board of directors after he refused to resign. It seemed Ware was into promoting the channeling of aliens and the like, and a majority of his fellow board members did not share his enthusiasm about such topics. They seemed to be of the opinion Ware was damaging the scientific credibility of the organization. After apparent repeated warnings to lighten up, they removed Ware from the board. I will leave it up to the reader to form an opinion of the legitimacy of the board choosing that particular point in time to play the 'scientific research' card, considering the kinds of unsubstantiated material MUFON regularly promoted through its public events and Journal from the 1990's to present. At any rate and whatever we make of Lieutenant Colonel Ware and his history, he was indeed on the Eglin expedition in September, 1992, and while in a role of MUFON leadership. I emailed him in attempts to learn more about the hike and related circumstances. I asked, among other things, how the expedition was arranged. Ware claimed Haley thought she knew when the beach incident happened, August, 1988. She then wanted help identifying “where the vehicle came down,” he wrote. Ware indicated he then suggested to Haley they hike the 13 miles. Haley agreed, never lacking courage and never short on heart. I asked Ware what he thinks about the Carpenter Affair, in which John Carpenter turned over the case files of Leah Haley and 139 other possible alien abductees to Robert Bigelow. “I see no problem with that,” Ware replied, adding the files are only useful to society if people see them. Some think it worth noting Bigelow has a long history of controversial activities and questionable motives, such as funding the highly criticized Roper polls and coming under fire when the original sources of his financial contributions to MUFON were called into question. Items of note additionally include circumstances surrounding the National Institute for Discovery Science, or NIDS, a nonprofit corporation no longer active but originally founded and headed by Bigelow. Former NIDS personnel member Eric Davis stated on the April 1, 2006, broadcast of Coast to Coast that long time CIA employee Christopher "Kit" Green worked with NIDS. Additional controversy includes Bigelow's relationship with Colonel John Alexander, another former member of NIDS personnel. Colonel Alexander, known as “Mr. Non-Lethal” due to his advocacy of such weapons and technology, was directly accused of conducting intrusive mind control operations involving involuntary human research subjects and consisting of voices in the head as reported by Sharon Weinberger in her Washington Post cover story, Mind Games. It should be noted, however, that any such accusations have yet to be substantiated. Much more on non-lethal weapons research and development, as well as abuse of human research subjects, may be viewed in US Electromagnetic Weapons and Human Rights, a Sonoma State University-Project Censored work by Peter Phillips, Lew Brown and Bridget Thornton. Curiously, Colonel Alexander was among those who reportedly confirmed the reality of John Carpenter's actions. In a July 20, 2000, email to UFO Updates List and referring to the Carpenter Affair, John Velez explained, "This nasty business has now been confirmed by Bigelow himself, Walt Andrus, Dr. Alexander of NIDS, and about seven of the abductees whose files were sold." “I suspect Bigelow's friends would also find those files useful,” Lieutenant Colonel Ware stated about the Carpenter Affair. “I suspect Bigelow's friends would also find those files useful,” Lieutenant Colonel Ware stated about the Carpenter Affair. When asked who, specifically, those friends might be and why they would find the files useful, Ware's unspecific reply included remarks about the alleged MJ 12, a supposed treaty “with the Zetas” and a new species of humans “more survivable in off-planet conditions,” among other topics. The relationship between Ware and Carpenter continued after each of their challenges within MUFON. Carpenter made presentations at various events and venues in which Ware held leadership roles and invited speakers. Ware indicated he continued to hold Carpenter in high regard. “I saw his (Carpenter's) presentation to Georgia MUFON folks a while back and thought it was very well done,” Ware stated, adding he would continue to invite Carpenter to speak when the opportunity presents itself. I asked Ware what led him to correctly believe he could hike extensively across Eglin with visitors and without being detained by base security personnel. “A state law keeps the part of Florida coasts below the high tide line open to the public except when a mission is in progress,” he answered. Research revealed most states adopted the Public Trust Doctrine, a document of various loosely suggested water access guidelines published by the National Oceanic and Atmospheric Administration. Public beach access is universally recommended within certain tide lines, at least in theory, but many relevant contingencies are not addressed at length or in detail. I telephoned Eglin Air Force Base, Media Relations, to inquire further. I was directed to call the base's Jackson Guard. During a call placed to the Jackson Guard on January 6, 2012, I asked if I could hike across the base if I stayed on the beach and below the high tide line. I added I was told a Florida law allowed such a hike. The Jackson Guard representative asked if I had base access. After telling them, no, I did not have any special access but wanted to know if such a hike was permissible, I was respectfully informed in no uncertain terms no one is allowed on base without proper access. Suffice it to say I would personally not rely on citing any such guidelines or obscure legislation while hoping to access Eglin Air Force Base. That is particularly my opinion after speaking with the Jackson Guard. There are of course numerous explanations that might account for exactly how the Eglin expedition came to be. The fact remains, however, that Ware is neither clear nor direct in providing any such explanation. While I appreciate his willingness to offer comments, his statements are not specific and neither confirm nor eliminate practically any of the many possibilities. The bottom line here is details remain elusive of how a hike across a United States secure military facility occurred, in which participants carried and used a camera, no less. This all took place, I am led to believe, while the guides, both MUFON directors, were hoping to assist a woman, encouraged to think she was an alien abductee by yet another MUFON director, in identifying the location an alien craft was grounded. After directly asking the man - that admittedly originally proposed and coordinated this remarkable expedition - to explain what led him to correctly believe he could take a party hiking across Eglin Air Force Base, I still do not conclusively know. I do seem to have been offered some unrequested information about Zetas and a secret superior breed of humans groomed to live on other planets, though. The extraordinarily curious chain of events and the controversial activities of MUFON directors became even more curious and controversial in circumstances surrounding yet a fourth MUFON director, Lieutenant Commander Thomas Deuley, US Navy, Retired. In 1995 while speaking as a MUFON representative, Deuley told reporter Kurt Loft of The Tampa Tribune-Times that MUFON did not embrace "such ridiculous stories" as told by Leah Haley. As we will explore in an upcoming post, Deuley entirely failed to mention to The Trib his own MUFON peers, directors Carpenter, Ware and Reid, were directly and extensively involved, as we have now seen, in those exact stories from their very outsets.